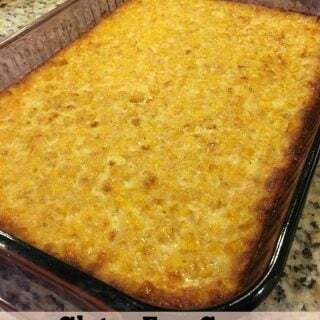 This gluten free corn pudding recipe is a staple in our house for holidays. Preheat oven to 400 Degrees F (200 degrees C). Grease a 9x13 casserole dish with butter. Add melted butter, sugar, and milk. Stir in corn and creamed corn.